Post-it® Custom Printed Notepads 2" x 3", 25 sheets, 1 color imprint. The original sticky note pad from the Brand you trust. 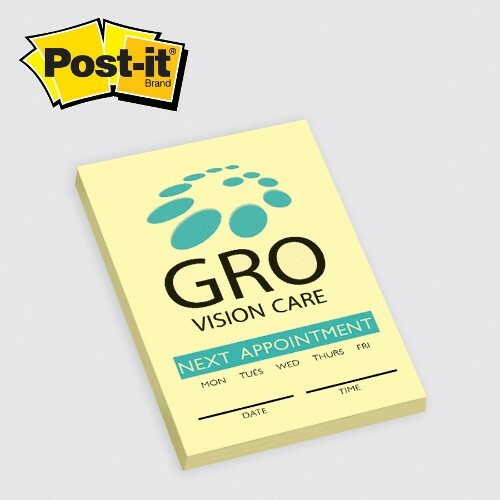 Post-it® Notes color match option allows you to match your exact imprint color. Choose from a wide variety of paper colors. Also available in recycled paper for a slight upcharge. Actual Note Size: 2" x 2-15/16". Adhesive on 2" side. Imprint Area: 1-5/8" x 2-9/16". No bleeds. 960 units per carton/18 lbs.